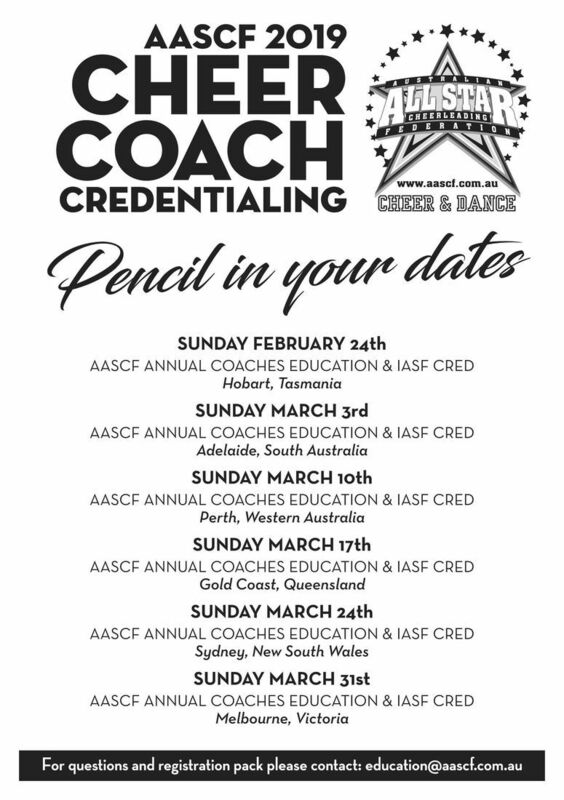 AASCF is committed to assist in the education of our dedicated All Star Cheer & Dance Coaches and will be undertaking Coaches education across the country in March/April. These seminars will include FREE AASCF CHEER & DANCE SCORECARD EDUCATION and RULES & SAFETY EDUCATION in addition to AASCF CHEER COACH CREDENTIALLING COURSES. We also offer advice on Dance & Cheer routine structuring to maximise the Scorecard. 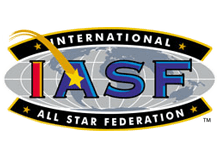 IASF/USASF INTERNATIONAL CHEERLEADING COACH CREDENTIALING PROGRAM!! We credential in all States of Australia! The IASF / USASF credentialing courses have now become the Worldwide standard for coaches & athletes! The United States All Star Federation (USASF) Coach credentialing comprises of 6 levels & is the ultimate way to learn about cheerleading coaching and keep your teams SAFE! Cheerleading coaches are credentialed through the Australian All Star Cheerleading Federation (AASCF) team of professional Instructors. We are proud to be a part of introducing the IASF/USASF coach credentialing program that is being rolled out in a world-wide effort to educate coaches about safety and proper instructional techniques. The IASF/USASF Coach Credentialing process, with its focused time on training the specifics of hands-on and written exam elements, will help you become the safest and most efficient coach possible, involving individual preparation before the course as well as intensive instruction on the day of hands-on exams.